MobileTECH, now in its seventh year, will bring together agritech leaders, tech developers, industry corporates, and early adopters. 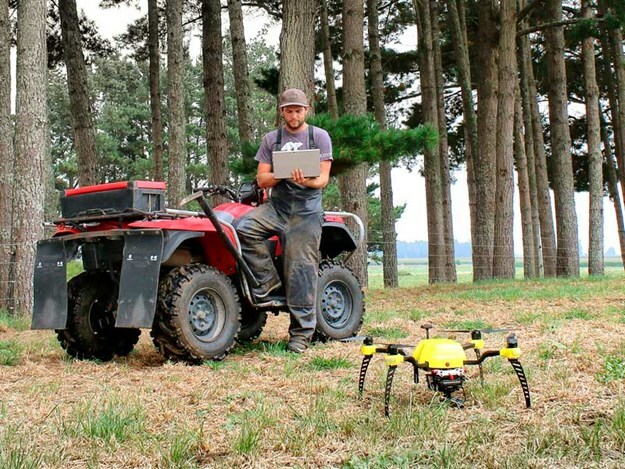 "New Zealand’s agritech sector is quickly expanding and the technology is world-class," Ken Wilson, programme manager for MobileTECH 2019, says. "While we have seen some great advances in sensors and robotics, it’s the software that’s making big strides." A Massey Business School report last year examined the impact of cloud computing and other disruptive technologies on the agricultural sector. After interviewing technologists and agri-food producers, there was a wide gap in how these two groups perceived the industry into the future. "What the agrifood sector is currently doing is brilliant," lead researcher Professor Stephen Kelly says. "They are agile, very accepting of new technology, and continually looking for better ways of doing things. But most aren’t visualising what the industry will look like in 10 years’ time." Farms and worksites are becoming more connected than ever and rapidly accumulating data. Remote sensors are in fields, GPS units track vehicles, UAVs and satellites provide imagery data, and electronic tagging optimises distribution. The primary sector now has more data points than can be comprehended. The demand is now not just technology but how to get the right analysis, recommendations, and application. "Tech developers see software advances and hands-on collaboration with local producers as the key ingredients going forward," Ken says. "With the central theme for MobileTECH 2019 being ‘data with purpose’, we will be highlighting a number of case studies where new tools are created alongside the farmer, grower, orchardist or forestry managers." The MobileTECH 2019 event is from 3 to 4 April in Rotorua, New Zealand.